Swinburne University researchers have been awarded a $360,000 grant by the Federal Government to develop a technology that would prevent cyber-attacks on smart home devices. As part of this three-year project, the research team led by the Dean of the Digital Research Innovation Capability Platform, Professor Yang Xiang will use specialised techniques, including software testing, to identify vulnerabilities in any devices and appliances connected to the internet. The Minister for Education Dan Tehan, who announced the research funding on Tuesday, said the Cybersecurity Lab will work with industry partner Greenland Property Group (GPG) to apply their findings to real-world scenarios. “Eight out of ten Australians have a smart device in their home, including smart TVs, baby monitors and mobile phones; nearly 50 per cent of us have three or more such devices,” Mr Tehan continued. Professor Yang said the research will place Australia at the forefront of this particular field. “The techniques we develop will position Australia as a world-leader in vulnerability detection,” Mr Yang stated. 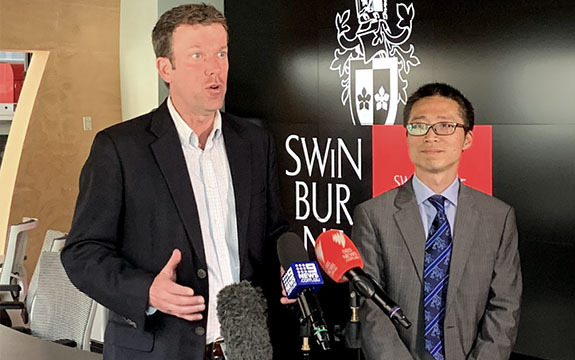 The research grant is part of $5 million in funding for 11 new research partners, which was announced by the Minister at Swinburne’s Factory of the Future.